Jean French is the owner and creator of The Natural Connection INC., a program dedicated to working with and healing horses in need, then providing a loving home for them to thrive. Using a natural connection, to “read” a horse’s body language, a horse’s physical and emotional needs are assessed, studying interactions with both humans and horses. Medical needs often are addressed first, then physical and emotional, all prior to starting each horse in a lengthy yet appropriate training program. 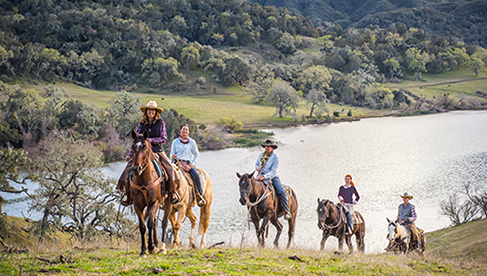 Without a doubt, The Natural Connection INC puts the horses first and travelers can experince it at Marriott Ranch in Virginia. Jean started English riding at the age of four overseas at any stables her parents could find. Upon landing in the United States, she rode as a hunter rider and shortly thereafter, switched to western recreational trail riding at the Marriott Ranch as a teenager. After 11 years at Marriott, she moved her horse and became a competitive team roper on the Virginia Cowboy Association Circuit, in her mid 20’s. Roping took a strain on both Jean and her horse, so she left the roping world to teach. In 2003, The Natural Connection was conceived. 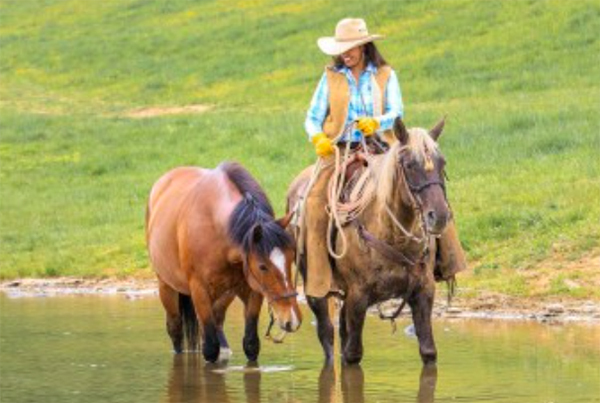 It was at the Marriott Ranch as a teenager that she had learned about rescuing horses, rehabilitation, and various training techniques, for better or for worse. She spent hours with the herd of 55+ horses, learning about their body language and how they communicated to each other. 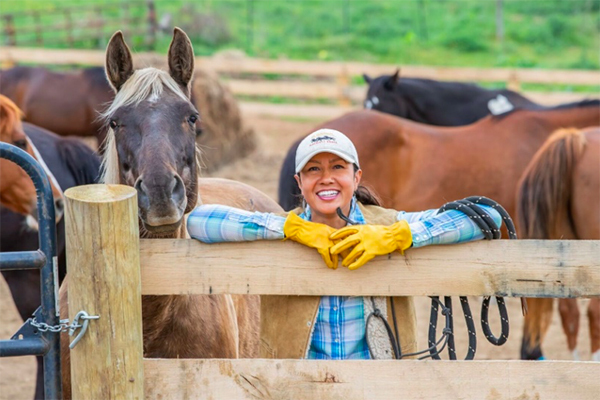 This ranch set the stage for her passion for horses to become a unique small business. From 2003 to 2017, Jean dedicated her time expanding The Natural Connection into a labor of love. The horses in need of rehabilitation and retraining also led to her program expanding to lessons and boarding. Continuing education for both herself and students was integrated as well, creating an enjoyable learning environment with guest riders and clinicians. The Natural Connection shifted gears in 2017. Currently located in Linden, VA, Jean returned as an independent contractor to the Marriott Ranch, 17 years later. The full-time incorporated business now focuses on providing options for horses in need of retraining and sometimes rehoming. Combined with offering western trail riding to the public, servicing Northern VA, Washington D.C., the greater metropolitan area and neighboring states. 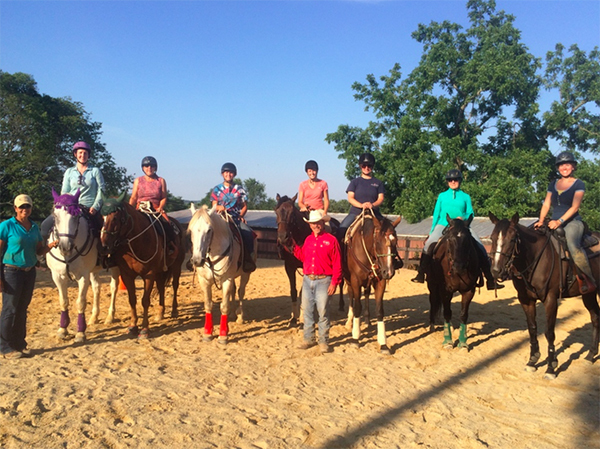 The trail riding operation is one of the largest in Northern Virginia, with 34 horses and 12 staff members. The Natural Connection INC is proud to offer a variety of programs, including trail riding for the public, as well as programs for corporate, leadership groups and scout troops. Families and friends come from all over the nation to enjoy the peace and beauty that this property has to offer. 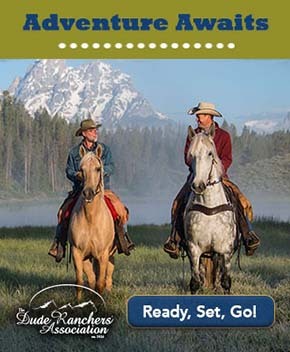 For more information, visit the website at www.thenaturalconnectioninc.com and learn more about Marriott Ranch.